Acorn Hill Academy: Advent Traditions - What Are Yours? At our local homeschool co-op, during a "free" hour, some moms were discussing what we do for Advent. I have a confession: I don't do much. I have wonderful intentions. I have Jesse Tree books, Advent calendars, Advent devotionals, and an Advent wreath. I want to do ALL THE THINGS. What typically happens is that I try to do several things and none of them get done. Last year, for example, I tried to have the girls work through a Bible study with me, and make Jesse tree ornaments while reading a book, along with reading another book. We finished none of them. 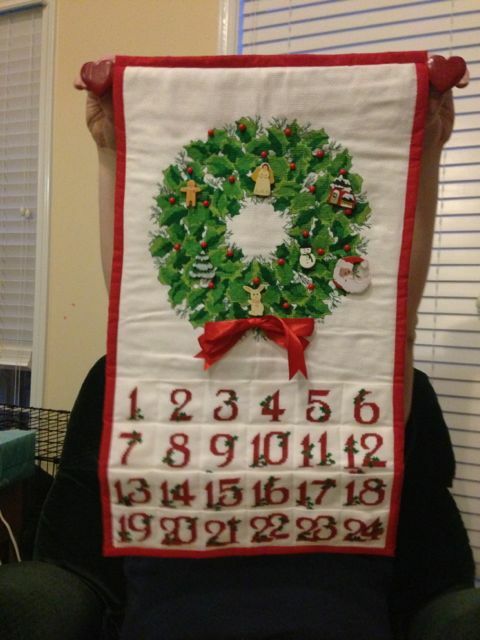 Back before we had kids, Todd's mom made us this beautiful Advent calendar. I love it, and I particularly appreciate that it has wooden ornaments that don't break when they hit the floor. When small people are trying to hang them, you're going to have a few misses and some are going to fall. These have held up very well, and it's an extra-special thing because Grammy made it for us. My sister-in-law, Jennifer, gave us this beautiful Advent calendar one year. Her mom, Mary, made it. It is beautiful. I don't have words to describe how much I love it. However, the ornaments are ceramic, and they *do* break when dropped. I'm sure you can guess how I know that. Sigh. I haven't been hanging it these past few years. Isaac is a little too enthusiastic, and doesn't have a great deal of self-restraint when it comes to things like this. I can see him collecting all the little ornaments in his garbage truck and driving them merrily around the house, dumping them when necessary. It would not bode well for those fragile pretties. Another idea I love is the Inductive Advent Study by Eleanor Zweigle. I've taken an inductive Bible study, and it's a fascinating way to study the Word. We did try it last year, and didn't make it all the way through. I think we will wait another year or two, until Isaac is ready to work through it with us, before trying this again as a family. My current plan is to hang Grammy's Advent calendar, and have the children take turns hanging the ornaments. Also, we will read Jotham's Journey, one of three books written for the Advent season by Arnold Ytreeide. I've heard lots of good things about these books, and hope that we will enjoy reading through this first one together. A wonderful resource for Advent ideas is my friend Jennifer's blog, Advent Idea Box. She and her husband have put it together, and it's a wonderful collection of resources for Advent. I may try to pull out some of her craft ideas. I hope you are gearing up for a joyous holiday season with your family! 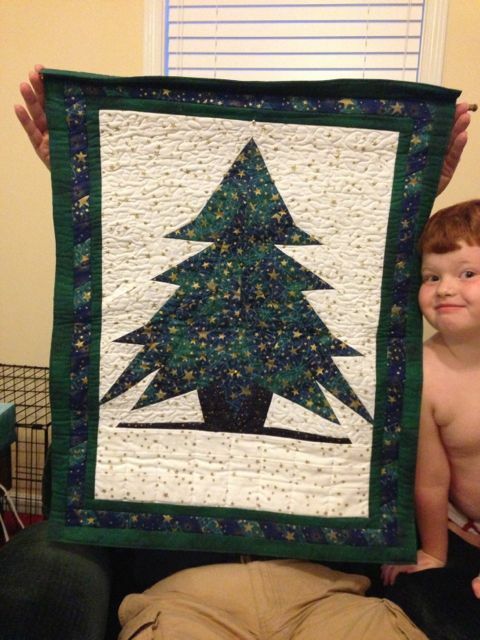 Do you have any Christmas/Advent traditions you'd like to share? I would love to hear them!